Only Registered persons will be able to attend due to limited seating. John Hendee is going to be sharing how to approach your friends, family, and those who let you get to know them the Good News of Christ in an effective and life changing way this is simple and effective. He is the author of many very good and must read books that help in being a more effective Christian. Just getting a moment to speak with him and listen to the wisdom he has to share based on the Word of God and life experiences will be a blessing to you. Both men are experienced evangelists who lead people on the streets to share the Gospel and save the lost. Before and immediately after this event they will be signing people up to put into practice sharing the Gospel at the level you are at. Please take advantage of this opportunity. Participation is encouraged. The lost need saving. & pastor of Éklessia Del Pacto De Cristo / Éklessia of the Covenant of Christ. He will be discussing the very important topic of the Covanant Of Christ & how we play our part in it. - What the gospel is and is not. - How to get into a gospel conversation. - Important things to cover during a gospel presentation. - Overcoming fears associated with evangelism. Bruce Koch has contributed to the Perspectives Study Program as a class coordinator, author, editor, and lecturer. He has helped national initiators to launch Perspectives study programs in 32 countries and 8 languages worldwide and is currently serving as the director of the Perspectives Global Service Office. 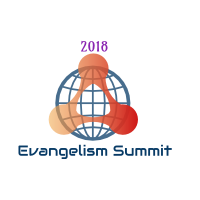 Bruce Koch will be teaching about evangelism that does not require conversion. Heresy you say? Come find out what Jesus and the Apostles thought about the gospel and making converts. Building on the foundation of Jesus Christ includes being intentional about discipling. Can we make disciples that make disciples that make disciples? Is it possible to live The Gospel that lives in us? To be a demonstration, not just an explanation? The power of God’s truth “really” transforms and sets people free! You do not want to miss this session. Yes, you will be challenged, energized and encouraged to make disciples of Jesus Christ. For over 25 years this ministry has been successfully bringing people to the Lord and taking them off the streets using the Gospel.